Needless to say, we were SUPER excited to see a mention of Habitat ReStore in Do It Yourself Magazine! True, it’s not OUR specific ReStore, but it was still pretty neat. 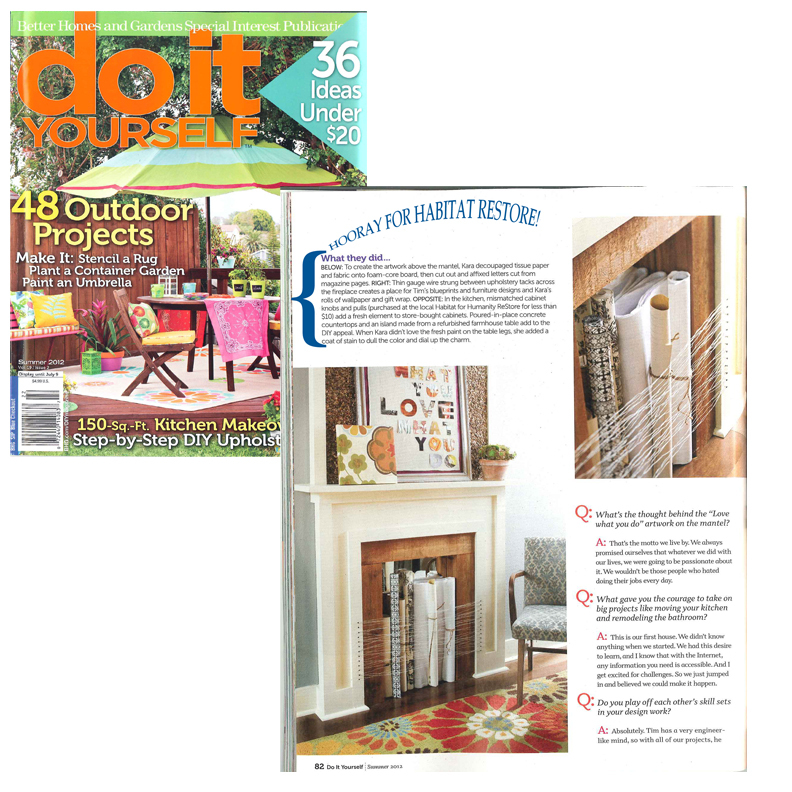 Do It Yourself Magazine, a spin-off of Better Homes and Gardens, teaches readers how to accomplish amazing DIY project on a low-budget. They mention the Habitat ReStore as a great place to pick up home repair items. And they’re right! We have everything, including the kitchen sink!! This entry was posted in Uncategorized and tagged Better Homes and Gardens, DIY, Do It Yourself Magazine, Habitat for Humanity of Smith County, ReStore on May 4, 2012 by Smith County Habitat.